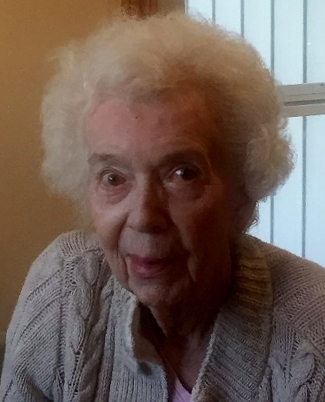 Charlotte Elizabeth Schaeffer Frederick, age 89, of Upper Sandusky, Ohio, went to be with the Lord on Friday, March 16, 2018 at 6:00am at the Fairhaven Community in Upper Sandusky. Charlotte was born on September 8, 1928 in Chicago, Illinois to Henry Schaeffer and Charlotte Elizabeth (Libby) Schaeffer, both of whom preceded her in death. She married Robert Frederick on February 14, 1952 in Knoxville, Iowa and he passed away on October 4, 1993. She is survived by four sons: John Paul (Becky) Frederick of Upper Sandusky, George Edward (Joan) Frederick of Bluffton, Ohio, Kenneth Roy (Tammy Cook) Frederick of Rock Springs, Wyoming and Dave Henry Frederick of Upper Sandusky, five grandchildren: Monica Renee (Bryan) Hale, Jeffrey Scott (Mindy) Frederick, Courtney Marie Baker, Chelsea Elizabeth Frederick and Kaydee Marie Hill, as well as four great grandchildren: Chloe Mae Hale, Delaney Kaye and Dominic Alfred Frederick, Elliott George Baker, Kohyn Hill. One brother survives: Charles Luther (Vicki) Schaeffer. Charlotte was preceded in death by her parents, her husband and two brothers: George Kessler Schaeffer and Henry Paul Schaeffer. Charlotte taught school for 33 years, 23 of those in Upper Sandusky; she taught as well in Arizona, Colorado, Hawaii and Iowa. She loved to travel; her favorite place was Hawaii. She enjoyed cross stitch and painting. What she valued most was spending time with her family and friends. Funeral Services for Charlotte E. Frederick will be held at 4:00pm Sunday, March 18, 2018 at the Lucas Batton Funeral Home in Upper Sandusky, Ohio, with Pastor Edward Hunker officiating. Visitations will be held on Sunday, from 2:00pm to 4:00pm at the Lucas-Batton Funeral Home in Upper Sandusky. Memorial contributions may be made to St. Paul Lutheran Church, or Hospice of Wyandot County, and can be sent to Lucas-Batton, 476 S. Sandusky Ave. Upper Sandusky, Ohio, 43351.